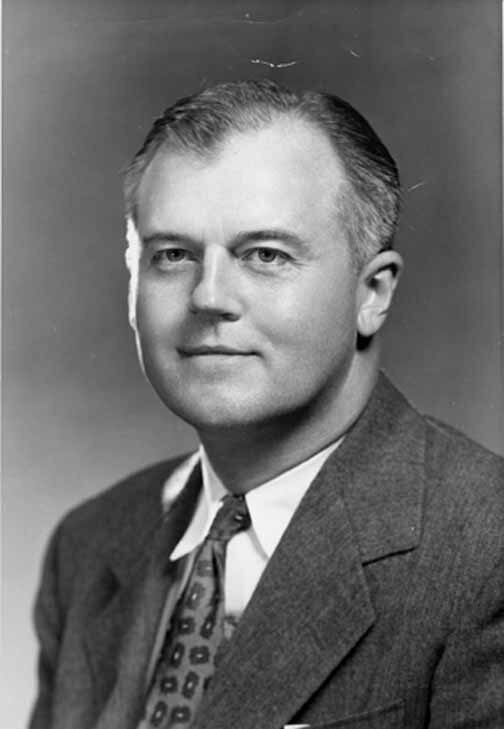 Today is the birthday (1901) of Robert Jemison Van de Graaff, a US physicist, noted for his design and construction of high-voltage Van de Graaff generators. When I was studying physics in England in the 1960s my school’s Van de Graaff generator was one of my favorite “toys” although I was not aware that at the time its inventor was still alive. It seemed rather Victorian. These generators can produce well over one million volts, but they are not necessarily dangerous because the current (amperage) is weak. 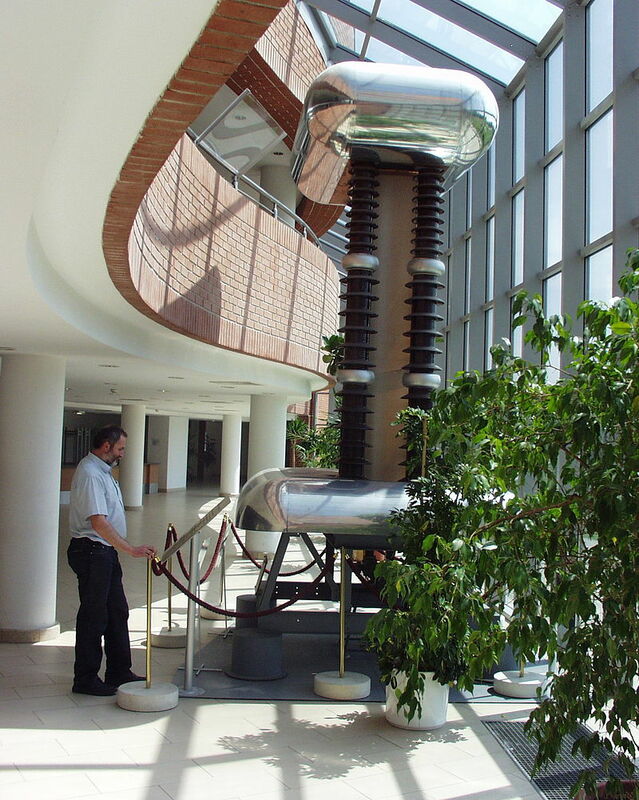 The high voltage is, however, useful in certain applications in physics. I will also note that today is the birthday of physicist David Bohm who I wrote about 3 years ago http://www.bookofdaystales.com/david-bohm/ Definitely a physicists’ day. The Van de Graaff generator uses a motorized insulating belt (usually made of rubber) to conduct electrical charges from a high voltage source on one end of the belt to the inside of a metal sphere on the other end. Since electrical charge resides on the outside of the sphere, it builds up to produce an electrical potential much higher than that of the primary high voltage source. 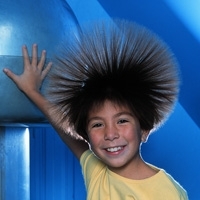 Practical limitations restrict the potential produced by large Van de Graaff generators to about 7 million volts. Van de Graaff generators are used primarily as DC power supplies for linear atomic particle accelerators in nuclear physics experiments. Tandem Van de Graaff generators are essentially two generators in series, and can produce about 15 million volts. The Van de Graaff generator is a simple mechanical device to build. Small Van de Graaff generators are built by hobbyists and scientific apparatus companies and are used to demonstrate the effects of high DC potentials. Even small hobby machines produce impressive sparks several centimeters long. 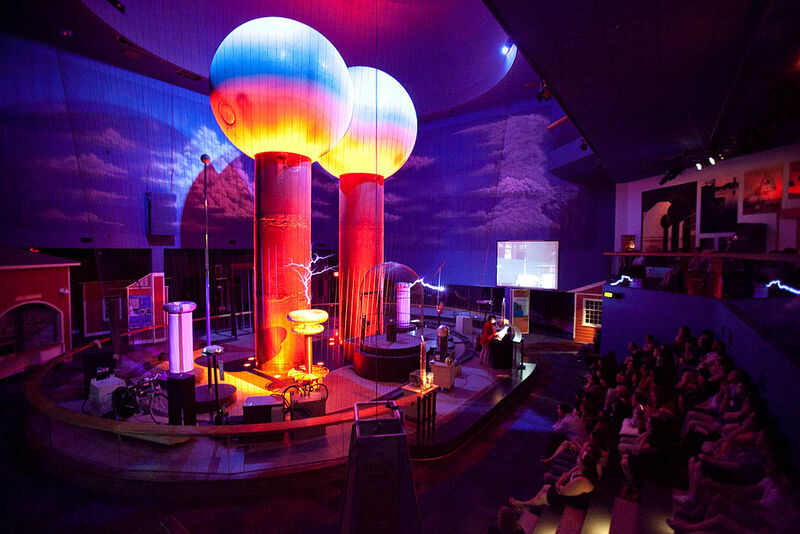 The largest air insulated Van de Graaff generator in the world, built by Van de Graaff himself, is operational and is on display at the Boston Museum of Science. Demonstrations throughout the day are a popular attraction. More modern Van de Graaff generators are insulated by pressurized dielectric gas, usually freon or sulfur hexafluoride. In recent years, Van de Graaff generators have been slowly replaced by solid-state DC power supplies without moving parts. The energies produced by Van de Graaff atomic particle accelerators are limited to about 30 MeV, even with tandem generators accelerating doubly charged particles. More modern particle accelerators using different technology produce much higher energies, thus Van de Graaff particle accelerators have become largely obsolete. They are still used to some extent for graduate student research at colleges and universities and as ion sources for high energy bursts. Van de Graaff built his first generator in 1929 at Princeton University on a fellowship, with help from colleague Nicholas Burke. The first model used an ordinary tin can, a small motor, and a silk ribbon bought at a five-and-dime store. After this initial success he went to the head of the physics department requesting $100 to make an improved version. He did get the money, but with some difficulty. By 1931 he could report achieving 1.5 million volts. According to his first patent application, it had two 60-cm-diameter charge-accumulation spheres mounted on borosilicate glass columns 180 cm high. The apparatus cost $90 in 1931. 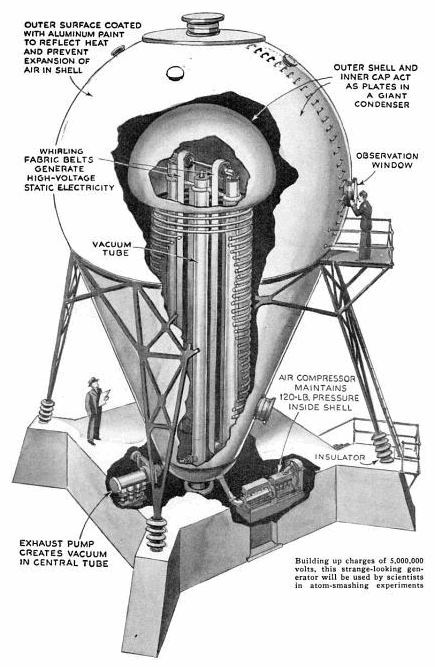 In 1937, the Westinghouse Electric company built a 65 feet (20 m) Van de Graaff generator capable of generating 5 MeV in Forest Hills, Pennsylvania. It marked the beginning of nuclear research for civilian applications. It was decommissioned in 1958 and was demolished in 2015. A more recent development is the tandem Van de Graaff accelerator, containing one or more Van de Graaff generators, in which negatively charged ions are accelerated through one potential difference before being stripped of two or more electrons, inside a high voltage terminal, and accelerated again. 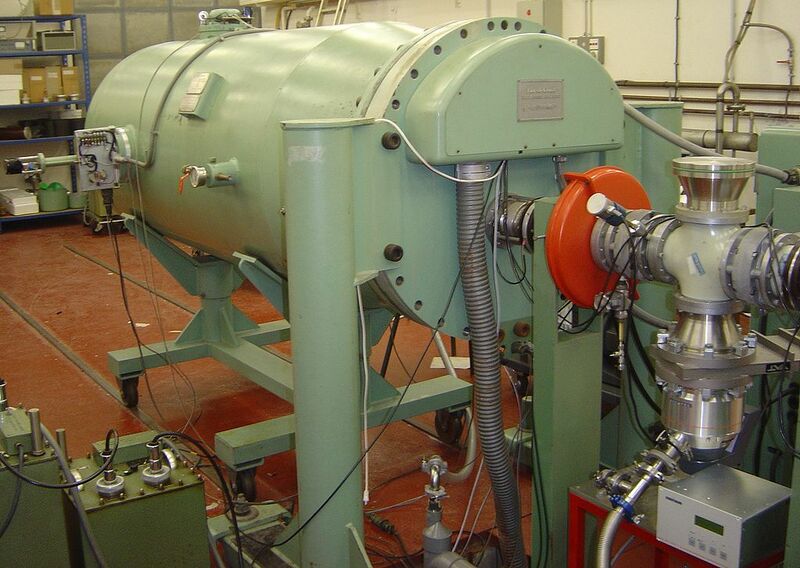 An example of a three-stage operation has been built in Oxford Nuclear Laboratory in 1964 of a 10 MV single-ended “injector” and a 6 MV EN tandem. By the 1970s, up to 14 million volts could be achieved at the terminal of a tandem that used a tank of high-pressure sulfur hexafluoride (SF6) gas to prevent sparking by trapping electrons. This allowed the generation of heavy ion beams of several tens of megaelectronvolts, sufficient to study light ion direct nuclear reactions. The highest potential sustained by a Van de Graaff accelerator is 25.5 MV, achieved by the tandem at the Holifield Radioactive Ion Beam Facility at Oak Ridge National Laboratory. Static electricity can generate millions of volts, but it’s not just voltage that matters. You have to have a current as well. Without a current you can’t cook much of anything. Use your microwave and make some popcorn to celebrate Van de Graaff.